Mickey Mutineers: 20,000 Gems Under the What? Soooo...how’s everyone doing? Good? Great? So, so? Poopy? Well fear not, this entry on Disney Gems is sure to give you a smile. Or not. However you want to handle it. It made me smile though...A lot! This gem comes from a ride that has been open since 1969. A ride that, like most other Disney rides, has withstood the sands of time. But I’m not talking about the ride itself, oh no. I'm talking about what’s inside of this precious Disneyland attraction, and no, its not Donald’s chair (I’ll get to that some other time). 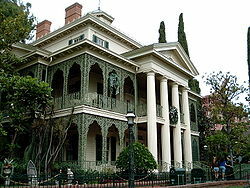 And if you haven’t already guessed what ride I’m talking about here, it's the Haunted Mansion...again! The organ inside the ballroom. Like I wrote in my last post, you can see new things in this ride every time you ride it, but one thing in particular has been right in plain site. I don’t think many people know of its origin, or that it's considered a gem. It’s not a small gem either. It's a rather huge one, with Disney gem gooeyness all over it! So what’s this gem then? It’s none other than the organ in the dancing room! You know the one the ghost is playing with all of the skull heads coming out of it. Why is this a gem? It’s just a rickety old organ, or is it? You may not know this, but that organ has a history, an awesome one at that! Lets dive in, shall we? In 1954 there was a Disney film that hit theaters by storm. It was 20,000 Leagues Under the Sea, which has taken claim to be one of the best adaptations of a book to film, and also Walt Disney’s first science fiction film. The film took home two academy awards, and was nominated for a third! So what's special about this film? Why am I trying to link a sci-fi movie to the Haunted Mansion? To this I say “Watch the movie again, or just YouTube the scene where Captain Nemo is playing the organ." 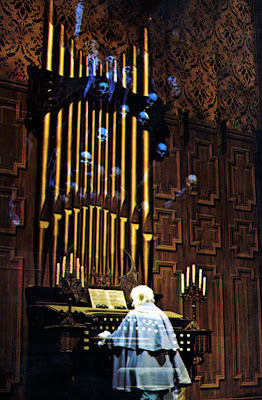 In that scene, look closely at the organ he’s pounding on with precise finger precision. Do you recognize it? You should, because you look at it every single time you ride the Haunted Mansion! 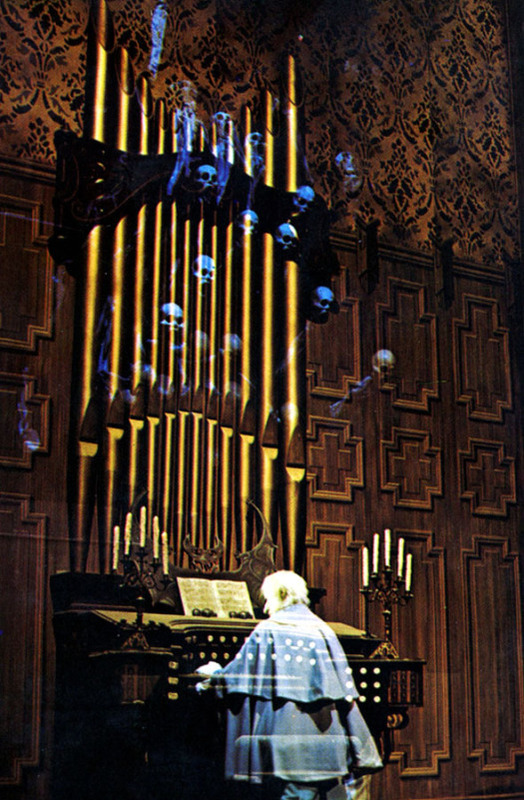 That's right, Captain Nemo’s organ has survived today at Disneyland inside of the Mansion. Pretty awesome huh? I thought so. It’s just another classic example of what Disney gems are and how you can totally miss them if you're not looking close enough. The pipes on the organ were changed to better match the ambiance of the ride, but it's the same exact organ from 20,000 Leagues! I feel that it’s a perfect fit into the Mansion because that place is full of random artifacts, and it looks creepy as well! My hat is off yet again to the Imagineers for implementing that gem inside of the ride. Nemo’s organ will live on for years to come as a spectacular piece of Disney history.